"Climbers divide sections of rock into separate climbs. These are all named and given a grade. 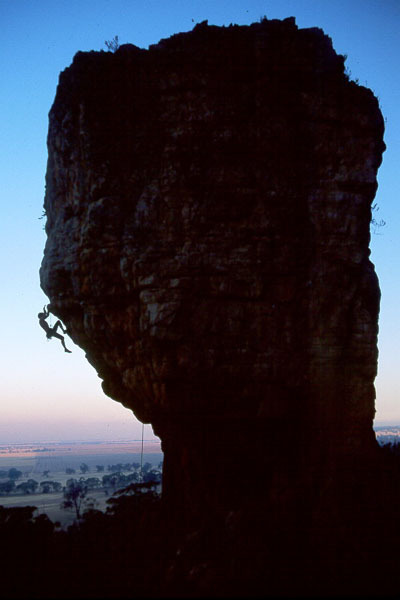 'Procol Harum' at Mt Arapiles in Australia was named by climbers in the late 60s. Its name is officially recorded in numerous guidebooks to the area. Here's a picture ..."